Record Number Of Videos Released! This year we are very thankful for the opportunities to travel and film in seven countries. We ultimately released twenty-five videos this year which is so exciting to see as this is a record for our channel! A big departure from when we were lucky to release six or seven videos in a year. If you are wondering, it’s still just the two of us working on everything. From research, planning, scheduling, filming, audio, editing, and photography to social media management. To find out about who is behind the camera and why there is generally limited talking in our videos, please read our Frequently Asked Questions. Did you know Bucharest is known as “Little Paris?” It refers back to the period between World War One and World War Two when the city was known for it’s sophistication and elegant architecture. 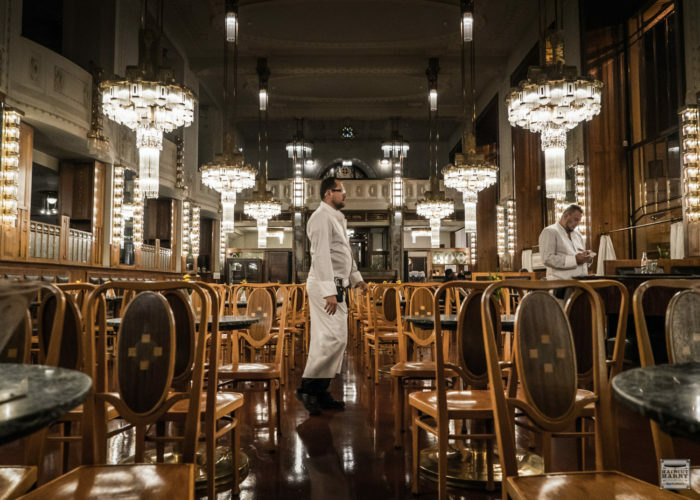 After decades of decline since the 1940’s, Bucharest has recently been experiencing a bit of a revival. The Old Town now bustles with tourist filled cafes and locals out enjoying the evening air. When we film, we literally film everything as it happens, and for as long as the experience takes. No matter how much we try to control the environment while filming, there is always something that happens unexpectedly. Sometimes a car passing with extremely loud music, people yelling outside, or the sun suddenly casting a mass of light through a window causing image quality issues. In this case at Frizebad barbershop, there was nothing that was going to stop the gentleman who came into the shop just to make a cup of coffee! The whole experience at Frizebad was almost an hour long! Ana had been keeping an eye on another customer to see if he got the same head massage treatment and he did. We want the experiences we document to be a genuine typical experience at the barbershop we are filming so our viewers can see what to expect. After editing, this video was still almost fifty-minutes long. We decided to break it up into two videos with the second video focusing on the head massage and hair styling. When you watch this video let us know what you think of the hairstyle in the video comments. Do you think it made me look different? I remember walking from Frizebad barbershop thinking I was looking like a real local! During the summer, we visited Prague on two separate occasions. Each time we spent several days exploring this amazing city and filming. 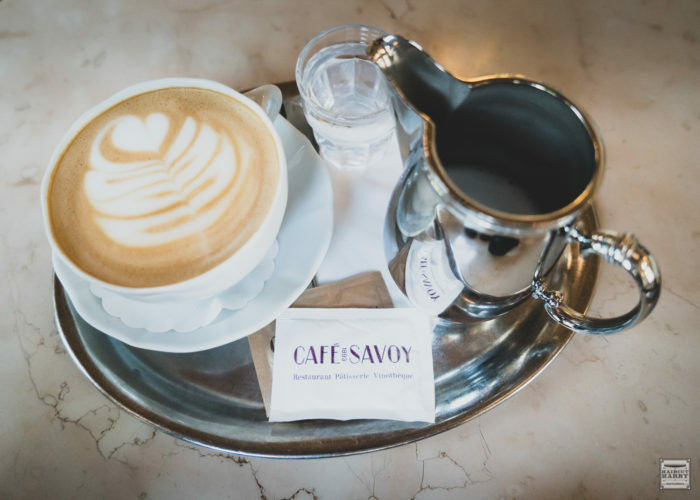 We spent hours walking the old streets seeking off the beaten track tourist spots and sipping coffee in the array of historic cafes. Although we have traveled to Prague before in the past, it is our first time filming videos here. Taking a walk and admiring the pastel colored architecture. The first video we filmed was with Kraig – The American Barber in Prague. Kraig is a 3rd generation barber who grew up in Kentucky. His grandfather began barbering in 1914. 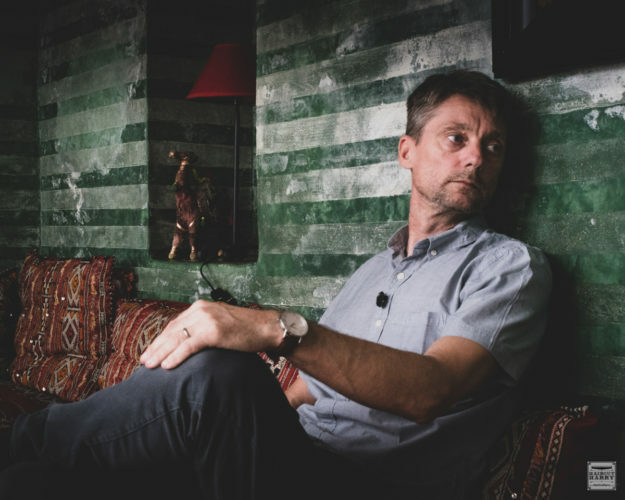 Kraig had been working in Atlanta, Georgia for over 25 years prior to making Prague his home. Seven years ago he sold everything and moved to Prague with his cats Baci and Koshka. Along with his rich barbering heritage, he offers everyone who visits his shop a dose of Southern hospitality. During the haircut video, Kraig talks about some of the do’s and don’ts in a barber shop. He uses a razor cutting technique and explains some historical hair tidbits as well as explains what he is doing to my hair. Off camera we shared good conversations and a lot of laughs with Kraig! We’ll always remember and be grateful for his Southern hospitality and sense of humor. The second video we filmed in Prague was with Klára Vanova. Klára originally contacted us a few years ago when she invited us to her shop in London. She grew up in the Czech Republic, but later trained and worked in London for several years. Klára ultimately opened her first shop, Barberette, there in 2012. 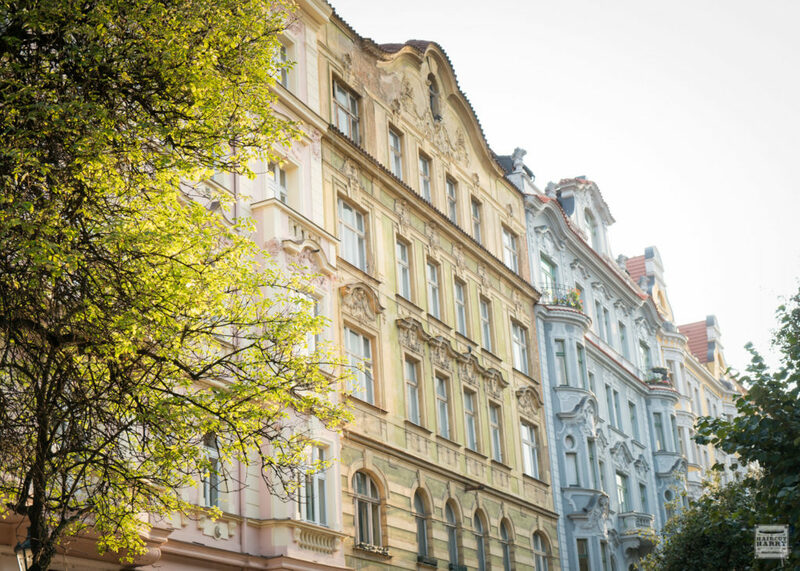 While we were in Prague this summer, one of Klára’s clients suggested her to us. So we were happy to meet her in Prague at the second shop she opened in the up and coming Praha 3 district. Barberette is the first and only gender-neutral barbershop in Prague. Klára saw a need for a barbershop that priced cuts based on the work done versus gender. Her experience was that women would be charged more in a traditional barbershop or salon for the same cuts as men! It was important that her shop was welcoming and inclusive of everyone. In this video Klára shares with us a unique experience of a no blade wet shave and face massage offered in her shop. There had been so many women commenting on our YouTube videos that a straight razor shave looked so relaxing but they could never do it as they were not men! Well, this service is designed for men and women who’d like to experience the feeling of a wet shave without actually being shaved! It was a truly refreshing experience. After meeting Klara, we found out we were kindred spirits. Klara also loves to visit and experience barbershops when she travels. During our time in Prague I was really interested in visiting a Communist era barbershop if any still remained. While growing up, Klara was familiar with these shops as her mother had worked in one. Graciously Klara excitedly agreed to help us find one shop that would allow us to film an experience. Ultimately we were able to film at a shop named Sarm. This is where we met the lovely Mariana who cut my hair and warmed our hearts! After filming, Mariana told us that the shop was literally closing within a few days leaving only a handful of these shops still operating in Prague. We saw a cheap flight from Budapest to Morocco so jumped at it! 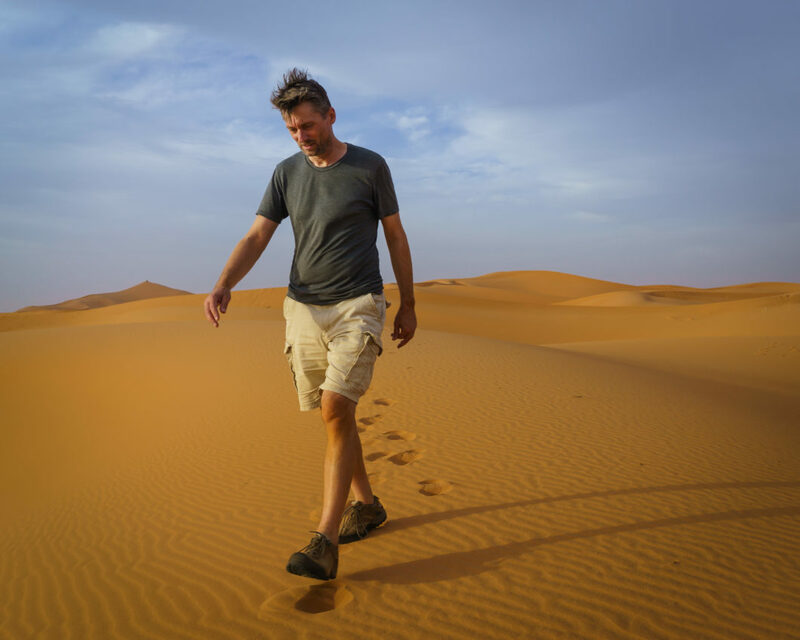 It was amazing to return to North Africa this year, although this was my first time to Morocco. 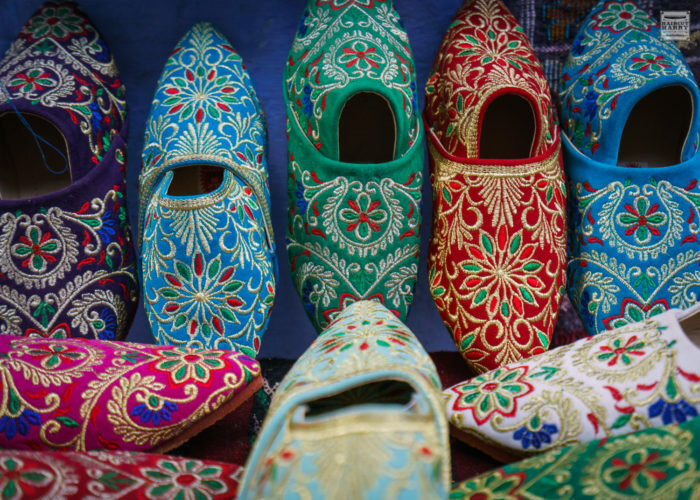 We definitely acquired some fun travel stories here that will be shared for years to come, like the experience of driving out of Marrakesh during a typical crazy traffic day. In a couple weeks we literally crisscrossed Morocco. While traveling we saw so many amazing places from the Sahara Desert to the winding maze like Medinas of Marrakesh and Fez. One of our favorite towns we visited was Chefchaouen. This beautiful blue town is located in the Rif mountains. I filmed a travel vlog early in the morning before the shops had opened. I did this primarily as it would have been too busy and difficult to avoid filming people. Many people here preferred not to be filmed and photographed. To see more of Chefchaouen and find out what happened when we tried to film a barbershop experience, watch the video here. 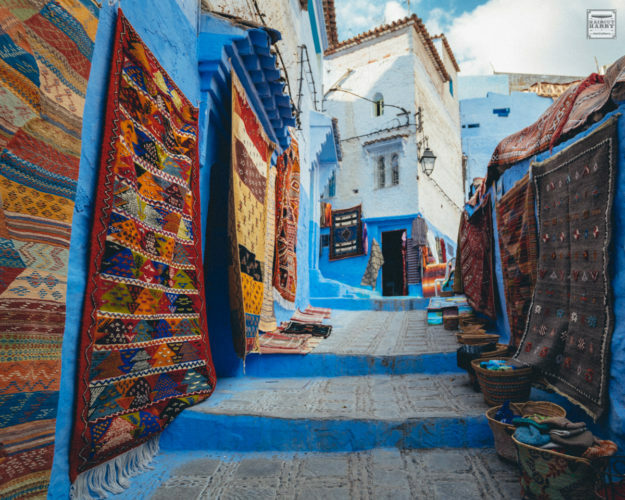 Chefchaouen, Morocco - famous for the striking blue-washed buildings of its old town. During our time in Marrakesh, we visited the Jardin Majorelle. Definitely a cacti lovers garden! 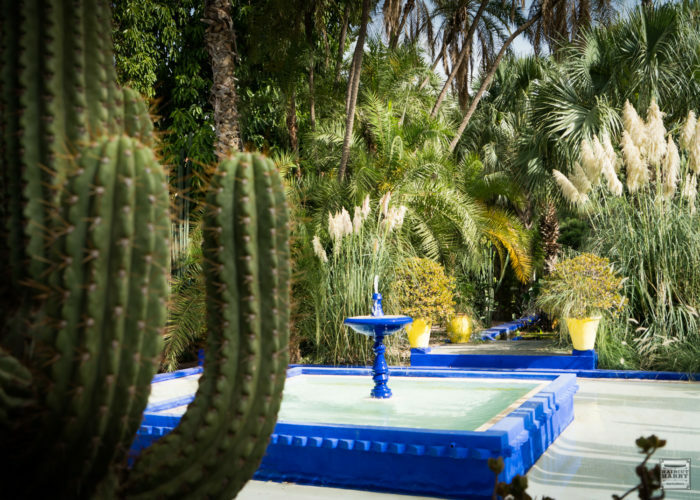 Originally the land was purchased in 1923 by a French artist named Jacques Majorelle. He was also an amateur botanist and worked on creating the garden over several decades. He passed away in 1962. A few years later in 1966, Yves Saint Laurent discovered the garden and ultimately purchased it in 1980. The garden was restored with respect to Jacques Majorelle’s vision. While we were traveling, we kept looking for a barber and barbershop that resonated with our channel and blog. I also started to share a few travel vlogs along the way as we searched for a barbershop. 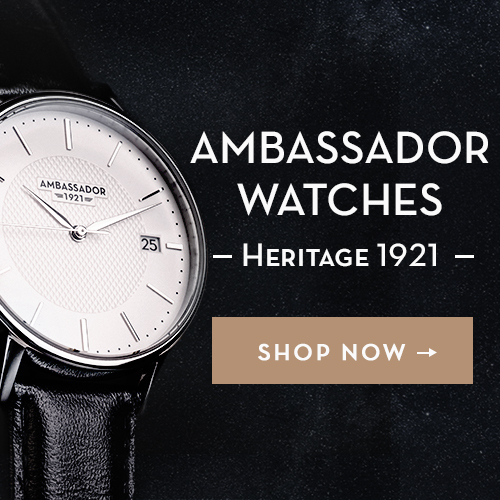 The first one was in the desert town of Ait BenHaddou in Southern Morocco. It’s a UNESCO World Heritage site that you may recognize from the film Gladiator. It is an interesting place to over night. 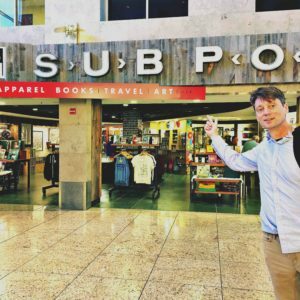 In this video I share the best photo spot and a relaxing coffee house! 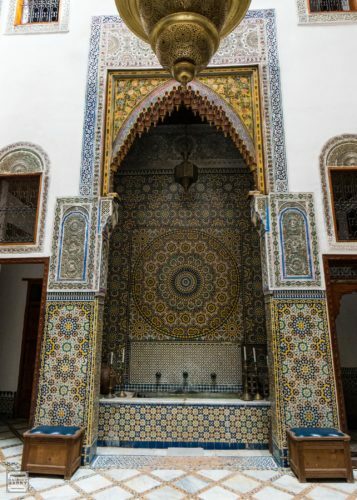 Our last destination in Morocco was Fez, which is where we finally found what we were looking for. Two barbers who had been working for years in the same two shops within the old city walls. I filmed a walk around the old Medina and introduced both barbers in a vlog – Tips, Good Barbershops, and where to eat! The first traditional Fez barber we filmed with was Mr. Ahmed Lotfi. He was recommended to us by Dar Finn the Riad where we were staying. It was interesting to see the Riad actually had written information about experiencing a close shave while visiting Fez. The information stated many of their guests who tried a traditional wet shave loved it. 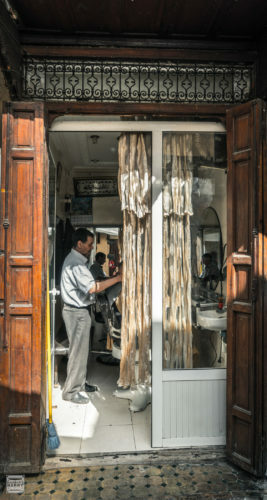 The barbershop we visited does not have a name, but you’ll find it opposite Dar Nada on Rue Talaa Sighira. The second barbershop we filmed at was very close to the Blue Gate or Porte Bab Boujloud as you’ll need to refer to it locally. Mr. Abdessalam Soussi is the owner and barber who has been working in this location for years. When we asked if we could film a video for the channel, Mr. Abdessalam was really excited to be a part of this journey. With the help of a local guide, we chatted a bit before filming and learned how important it was to him to give a helping hand to the next generation of young barbers by teaching them all he knows. ﻿ Thank you so much to everyone who has helped make this such an amazing year! A very special thanks to our Patreon supporters for your continued generous support. Hope you enjoyed part 2 of our 2018 travels and videos roundup. 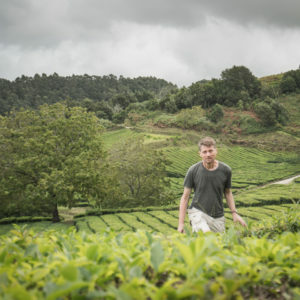 Read part 3 where we travel to Madeira and our final destination the Azores.